Do you know what kind of pipe delivers fresh water to your home and removes wastewater? Depending on the age of your home and whether you’ve had any problems, your utility lines could be made of a variety of different materials such as PVC, cast iron, ductile iron, galvanized steel, copper, concrete, steel and asbestos cement. Lead pipes were also used for a period of time, but they have been phased out due to health issues and poisoning. The substance of which your pipes are made plays a major role in potential failure because each reacts differently to factors such as age, normal wear and tear, temperature changes, ground shifting and more. While nothing lasts forever, research shows that PVC pipes have the lowest overall failure rate when compared to other popular materials. Additionally, the number one reason for failure is corrosion. While pipes won’t last forever, it’s common belief that they will last for 40 to 60 years or more; however, that’s not always the case. A pipe installed just days ago could rupture for any number of reasons. For example, extreme weather like drought or excessive rainfall may reduce the life expectancy of the line according to the SLWC Contractor Services team. 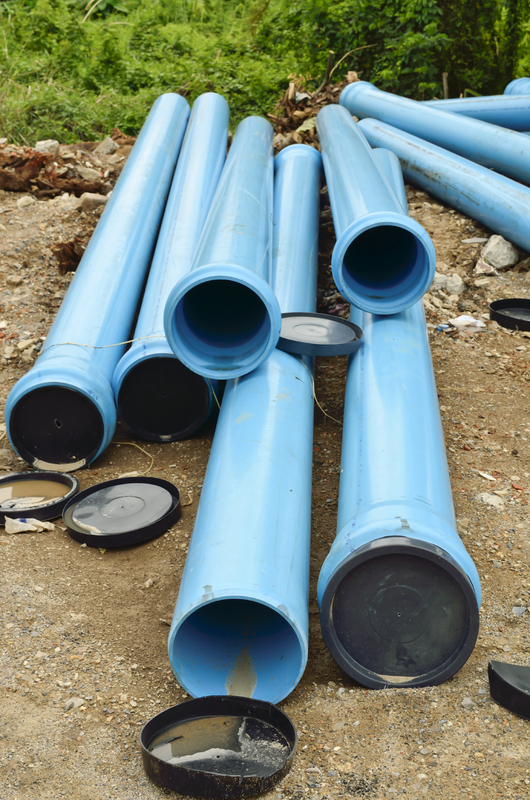 If you’re curious as to the age or type of pipes that are buried underground outside your home, check your bill of sale or blueprints or a plumber can do an inspection of your lines and provide this information. Inspections are not part of the SLWC warranty coverage. This entry was posted in Uncategorized and tagged cast iron, ductile iron, failure rate, pipe failure, PVC pipes. Bookmark the permalink. ← What is Earth Day really about?